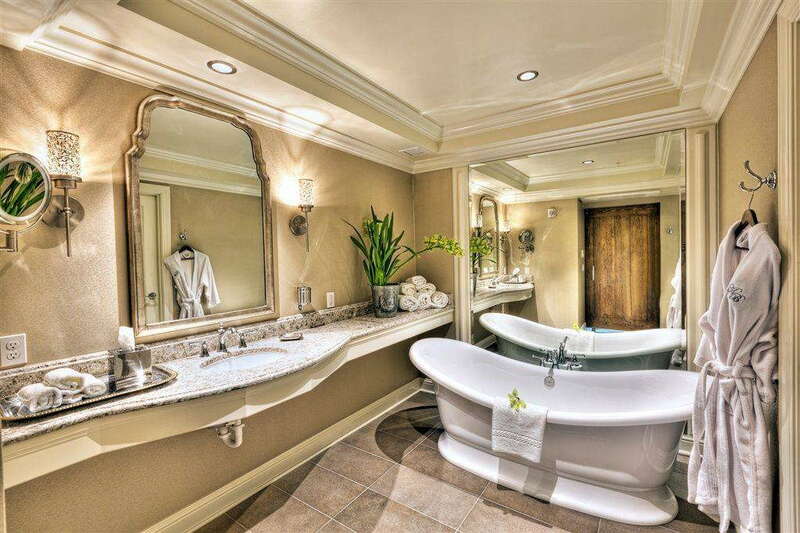 North Seattle has very little to offer in the way of chic lodging, making this 29-room boutique property a real find. 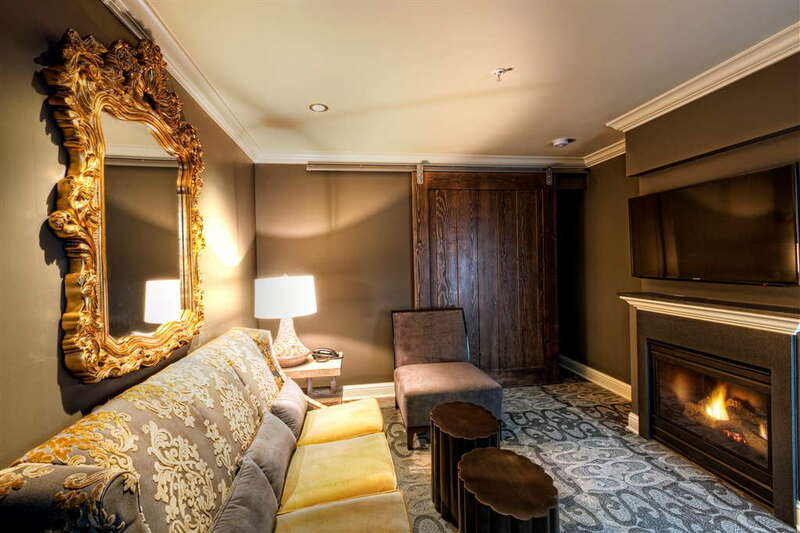 Located in the historic heart of Ballard, a former sleepy fishing village turned hip urban neighborhood, Hotel Ballard features elegant rococo-inflected style, water and mountain views, and easy access to many noteworthy restaurants and bars. Guests can experience a taste of everyday Seattle life beyond the Downtown and Seattle Center tourist attractions, which are still within easy reach by car or bus. While Ballard isn’t at the top of most tourists’ lists, it has plenty to see, including the Hiram M. Chittenden Locks, one of Seattle’s most popular attractions. Constructed in 1907, the engineering feat serves as a ship canal between Seattle’s freshwater lakes and the salty Puget Sound; the Locks also feature a botanical garden and a fish ladder with a viewing room to watch the migration of salmon. 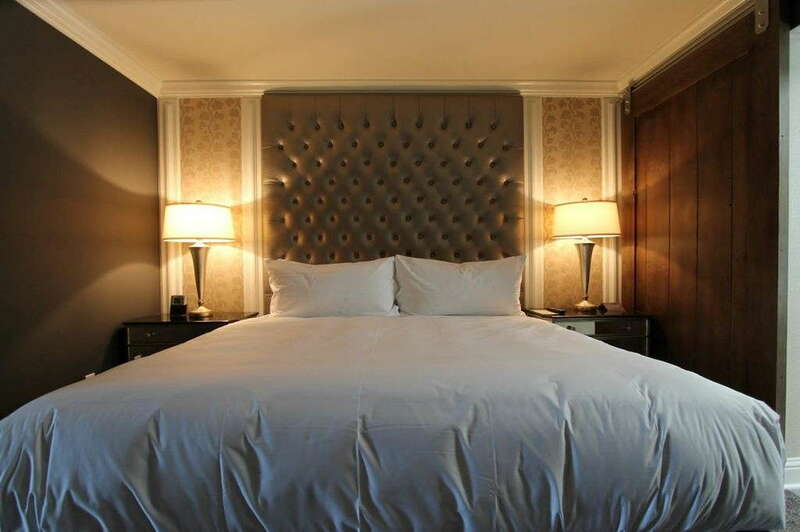 Elegant décor includes floor-to-ceiling tufted headboards, mirrored nightstands, a modern gray-and-yellow color scheme and playfully baroque accents such as chandeliers and patterned wallpaper and carpets. 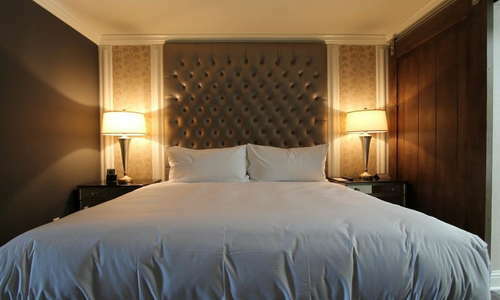 Everything feels as plush as it looks, especially the pillow-top king bed. 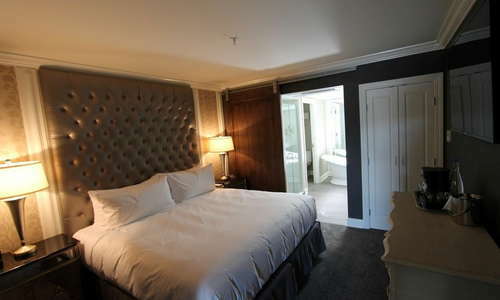 Rooms feature bay windows or Juliet balconies with views that range from Ballard Avenue to the Olympic Mountains. Comfortable suites have a lovely living area with a pullout sofa and a fireplace. Ornate outdoor armchairs are a whimsical touch. YOU SHOULD KNOW Some guests have complained about noise from the hotel’s Olympic Rooftop Pavilion, which features 1,370-square-feet of event space and sweeping views. It’s worth asking whether an event is scheduled when booking, especially for top-floor suites. Behind a rustic sliding barn door, smooth marble, bright white subway tile, and a large walk-in shower all make for a luxurious bathroom experience. 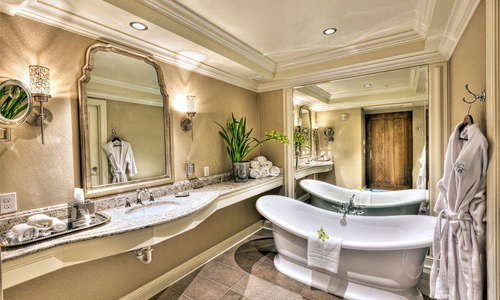 Extra-spacious suite bathrooms are especially indulgent with a freestanding deep soaking tub. 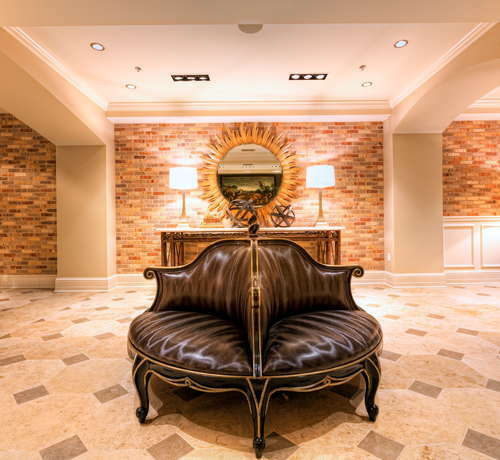 A tasteful space with travertine tiled floors, wainscoting, and a soft palette of creams, gray and buttery yellows, the lobby features a fireplace and comfortable seating areas for lounging. Dramatic accents like a rococo round settee, a huge sunburst mirror, and a large 19th-century oil painting of rabbits and a lion perfectly complement the décor. 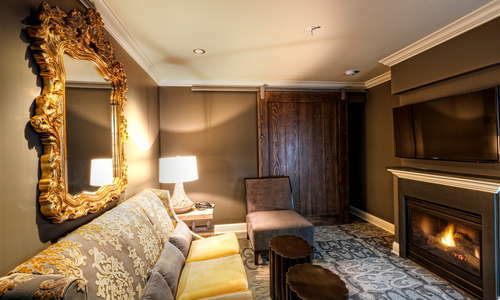 A stay at Hotel Ballard includes complimentary passes to the Olympic Athletic Club, a gorgeous gym with two lap swimming pools. Stoneburner serves up Mediterranean-style fare with ultra-fresh Pacific Northwest ingredients and a focus on stone-hearth cooking. 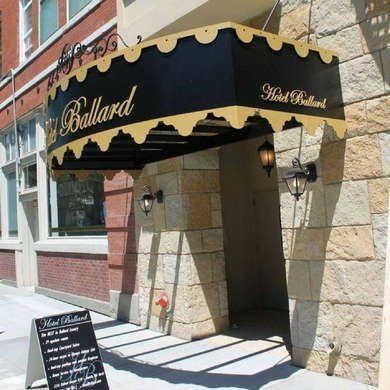 The 120-seat restaurant within Hotel Ballard makes a big visual impact with architectural objects and antiques from around the world. 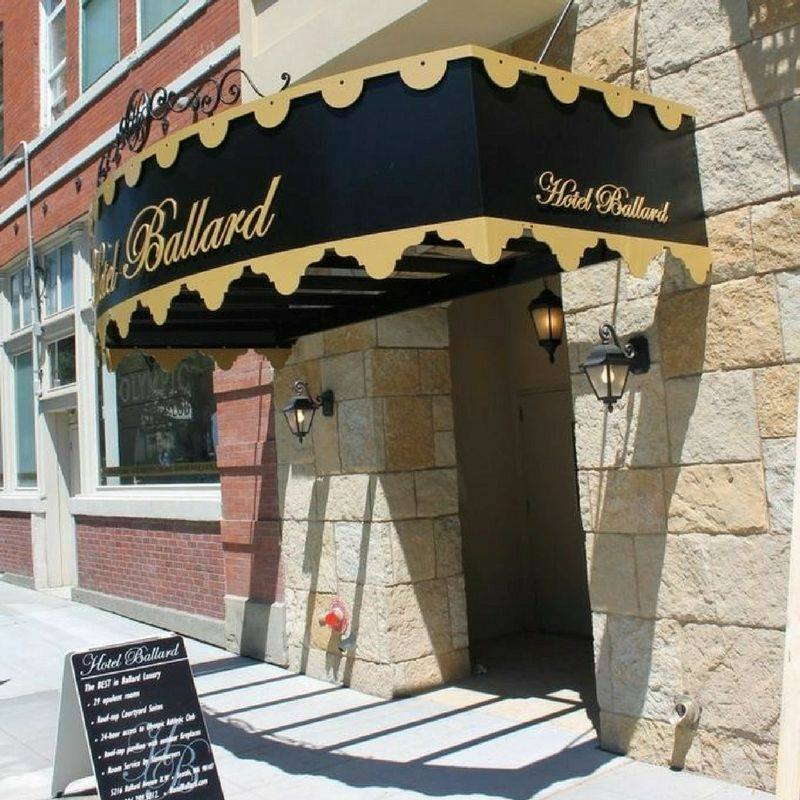 It’s worthwhile to have a car if you’re staying in Ballard--parking at Hotel Ballard costs $15 a day, far less than Downtown hotels, which charge as much as $50. 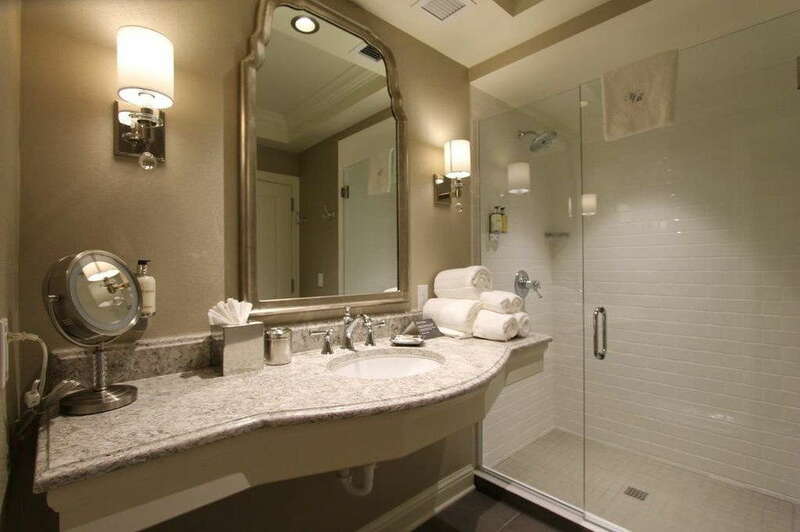 It’s a 15-minute drive to Seattle Center and a 25-minute drive to Downtown. For bus transit, the D Line runs from Ballard to Downtown (approx. 40 minutes), with stops in Seattle Center. Uber and Lyft are also popular options for visitors. The highly walkable Ballard neighborhood has lots of dining options, from casual to classy. For lunch, try La Isla (5-minute walk), a Puerto Rican spot, or the Other Coast Café (1-minute walk) for simple and delicious deli sandwiches. La Carta De Oaxaca (1-minute walk) is a local favorite for authentic Mexican cuisine. The frequently long wait is worth it at Walrus & the Carpenter (5-minute walk), which has landed international ink for its fresh and inventive oyster and seafood dishes. According to local lore, Ballard’s founders were so concerned about widespread boozing that they required “a church for every bar.” While not historically accurate, there are many churches in Ballard and even more places to imbibe. The Tractor Tavern (2-minute walk) features stiff drinks and live bands, while the hip Hazlewood (5-minute walk) serves craft cocktails. Ballard also has a booming craft beer scene, with a fast-growing list of breweries and taprooms in the neighborhood. Reuben’s (10-minute walk) and Stoup (10-minute walk) are two of the best. 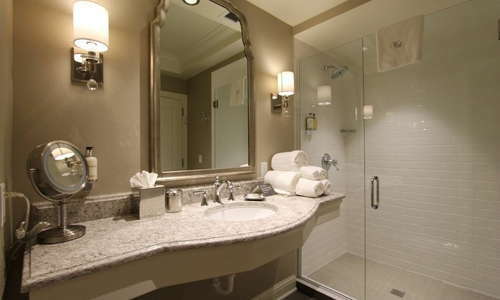 Located in the charming historic center of Ballard, a bustling North Seattle neighborhood, Hotel Ballard is far enough from most tourist stuff that you'll get a good feel for local life. 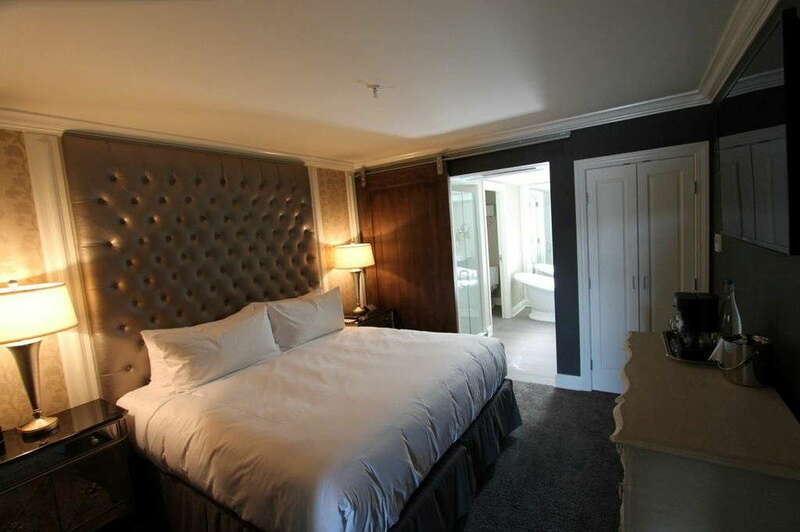 Featuring modern-rococo decor with rustic accents, the hotel offers boutique style and service with perks like affordable parking and daily passes to the top-notch gym next door. Plus, walk a few minutes in any direction and you'll find some of the city's best bars and restaurants. $$ &middot; 220 Kirkland Ave.
$$ &middot; 6501 Railroad Ave.
$$$$ &middot; Downtown &middot; 1635 8th Ave.